Students chant “NETH-ER-LANDS” during the assembly Friday afternoon. Students spent part of the day making flags to support their country. Students at Smith Elementary School had their own Olympic opening ceremony Friday afternoon that kicked off a two-week long reading competition. Elizabeth Shirring, a Title I reaching teacher at Smith, said she and a few other literacy coaches had the idea to start a reading competition this February and tie it into the Winter Olympics. 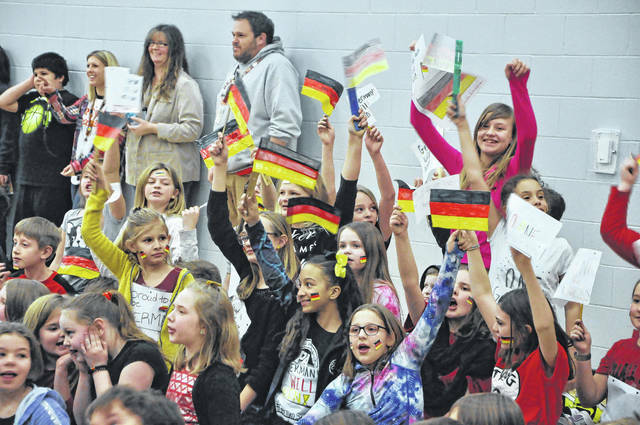 Shirring said 400 students at Smith were divided into five teams named after counties that do well in the Winter Olympics: Canada, Germany, The Netherlands, Norway and Switzerland. As for the competition, Shirring said students will keep track of how many minutes they read for the next two weeks, and the “country” with the most minutes gets a special prize. The students gathered in the gym Friday afternoon before dismissal for the lighting of an LED Olympic torch, an explanation of the competition, and a few relay races. 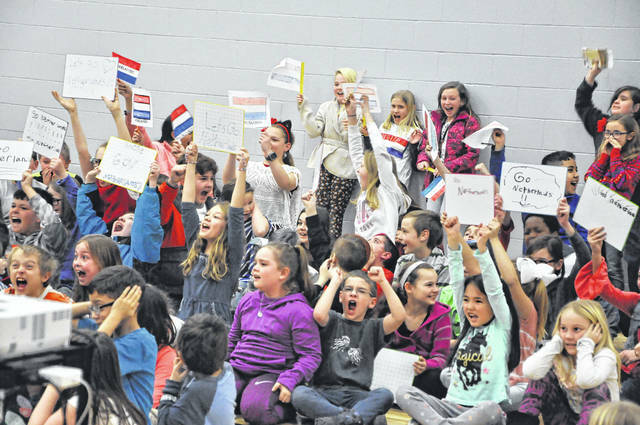 During the assembly, students were encouraged to scream and cheer for their country and team, and students spent part of the day making flags for the event. While the students were assembling into their countries, they would also chant their country’s name. “I really hope it’s an exciting thing they can look back on,” Shirring said. She added many teachers at Smith will be giving their students books about sports or Olympic competitions to encourage them to read during the competition. Shirring said she hopes the event helps the school get closer as a community. She said this isn’t the first year for a reading competition at Smith, but it is the first Olympics-themed competition. Shirring said the competitions are popular with the students and said she thinks students get a lot out of the competitions. Smith Principal Rochelle Thompson said she enjoyed the assembly and thinks the competition is good for students. “It’s an amazing way to engage in reading experiences coupled with the Winter Olympics,” Thompson said. https://www.delgazette.com/wp-content/uploads/sites/40/2018/02/web1_DSC_1149.jpgStudents chant “NETH-ER-LANDS” during the assembly Friday afternoon. Students spent part of the day making flags to support their country. This entry was tagged smith elementary school. Bookmark the permalink.